After more than a few stops and starts it looks like The Wolverine, the sequel to 2009's X-Men Origins: Wolverine, might actually get going soon. Back in February it was announced that the project had been given an official release date of July 26th, 2013 and it's likely that the movie will get going this spring once Hugh Jackman has completed his commitment to >Tom Hooper's Les Miserables. Now it seems to be that first bit of promo/concept art has been discovered. 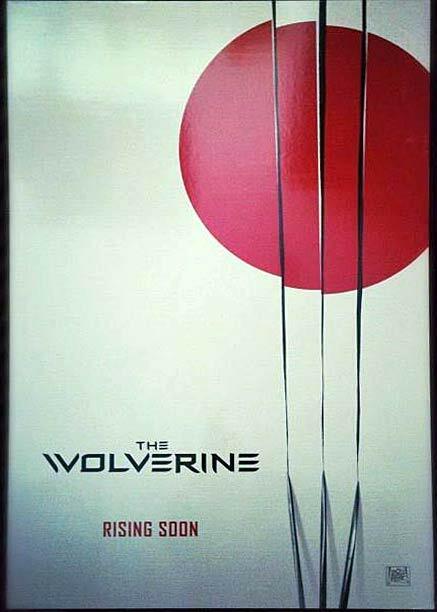 Clear, simple design that tells us without a lot of flash that Wolverine is heading to Japan. It's minimalist, which has been a bit overdone in recent years, but it's still a cool poster complete with a great tagline (playing on "Land of the Rising Sun." I can't help but think back to the campaign for X-Men: First Class. While that movie ended up being spectacular, the artwork - seen HERE and HERE - was stunningly terrible. Perhaps if Fox hears enough support for this particular poster they will find a way to introduce it to the real marketing when the time comes. The Wolverine is based on a script by Christopher McQuarrie and was rewritten by Mark Bomback. The film, based on the comics by Frank Miller, finds an amnesiac Wolverine trying to find himself in Japan where he learns to fight with a samurai warrior.